1. There are 2 treatments, and, with best estimates, with treatment A the probability that the patient lives is 50% and with treatment B the probability is 30%. 2. There are 2 treatments, and, with best estimates, with treatment C the probability that the patient lives is 50% and with treatment D the probability is 30%. In each case, we know that giving A not B might cause a patient to die who would otherwise live and our best estimate of the probabilities of survival are higher with A than with B and higher with C than with D.
I think the difference is that one learns something by randomizing and giving half of the patients D and that this outweighs the expected deaths due to the randomization. 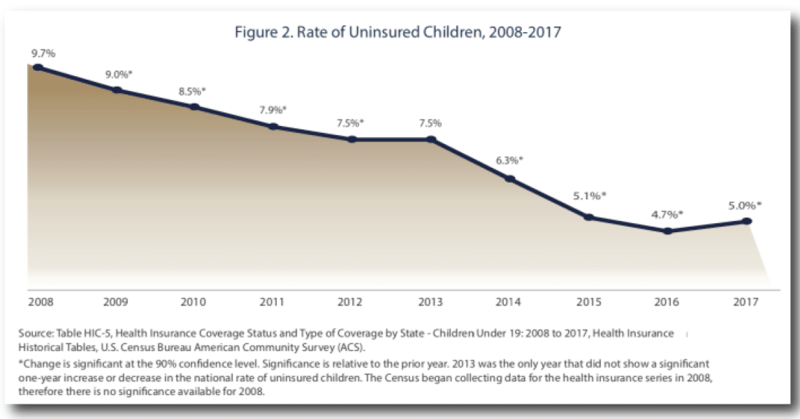 To add to Robert Waldman’s post on ACA enrollment, here is the chart as taken from Andrew Sprung’s Blog (Expostfactoid) on the ACA. This is data Charles Gaba had gathered and Andrew rearranged. 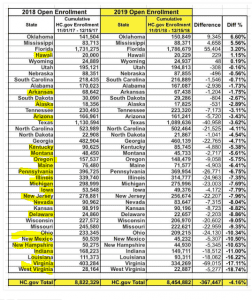 Note non-expansion Medicaid states did better than expansion states in enrollment. Why is that true? The states marked in yellow on the left are expansion states. Without getting into the data and explaining Andrew’s findings, it is interesting the difference in each state experienced from application of carrots (generously subsidized health plans) and sticks (the individual mandate) on ACA marketplace enrollment. 1. The relative enrollment resilience in non-expansion states points toward the power of really affordable comprehensive insurance. 2. 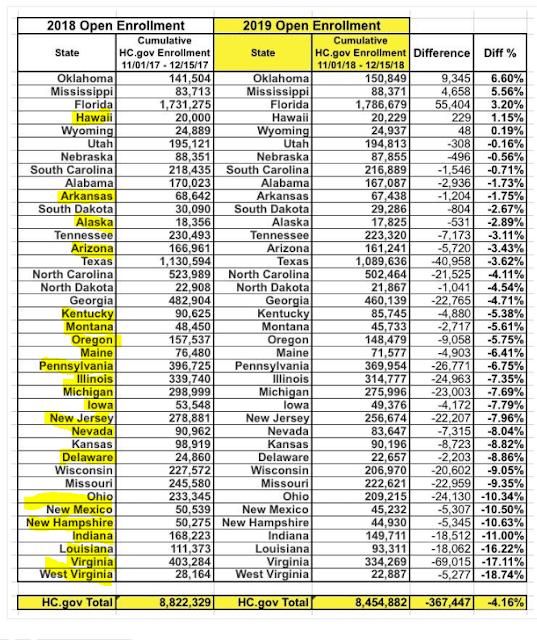 The steep enrollment drop in expansion states perhaps shows the impact of mandate repeal. 3. The superior performance of SBEs (State Based Exchanges) indicates that active insurance market oversight, investment in outreach and enrollment assistance, and a governmental will to make the marketplace work has a significant impact. As I read some more, I will expand this farther. Just back from Christmas holiday and catching up. There has been a lot of talk and presentation on End of Life care and its high costs. 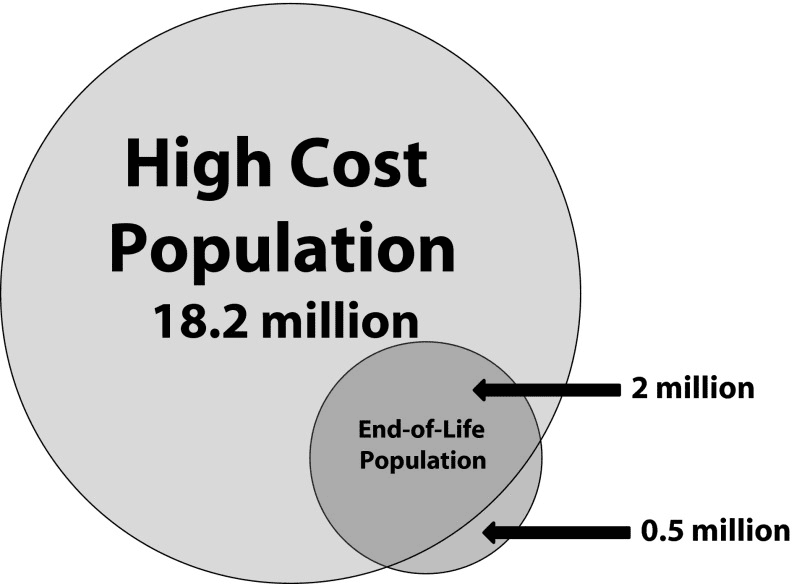 “The Myth Regarding the High Cost of End of Life Care” reviews those costs and expands the topic beyond End of Life to all the population with chronic conditions and functional limitations. 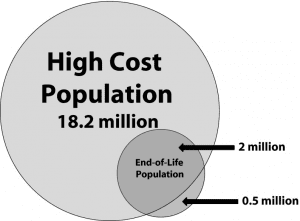 Estimated overlap between the population with the highest health care costs and the population at the end of life (United States, 2011). Source. 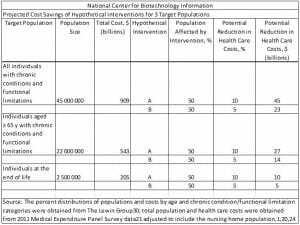 Total population and health care costs were obtained from 2011 Medical Expenditure Panel Survey data and adjusted to include the nursing home population. The distribution of total costs for the end-of-life population was estimated from Health and Retirement Study data linked to Medicare claims data, adjusted to include non-Medicare payers, and adjusted to 2011 dollars utilizing BLS Consumer Price Index. – Individuals who persistently generate high annual health care costs owing to chronic conditions, functional limitations, or other conditions. These individuals are not in the last year of life and live for several years generating high health care expenses (population with persistent high costs). 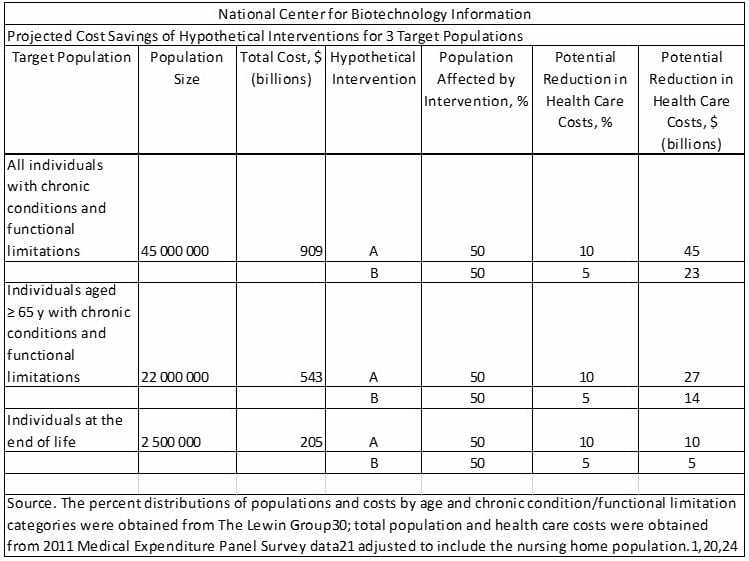 Melissa Aldridge and Amy Kelley: The identification of the appropriate target population for high-quality, cost-saving interventions is critical given the substantial variation in the size of different target populations, the costs generated by different populations, and the proportion of the target population likely to be affected by a specific intervention. Using data regarding the population with chronic conditions and functional limitations and the studies author’s estimates with respect to the population at the end of life, a hypothetical intervention and 3 potential target populations can be determined: individuals with chronic conditions and functional limitations, older adults with chronic conditions and functional limitations, and individuals at the end of life. The authors assuming the percentage of the target population affected by the intervention is 50% and the potential reduction in costs is 10%, a comparison between-intervention cost savings can be made. Putting to rest a meme; Many proposals to reduce health care costs in the United States target the high cost of end-of-life care. Yet at the population level, the cost of caring for individuals in their last year of life accounts for only 13% of total annual health care spending. Many believe or expect the majority of decedents in the highest cost group are in the last year of life; however, the majority of individuals in the group are not in their last year of life. Specifically, there is approximately 11% of the individuals in the highest cost group in the last year of life. Efforts to improve the quality of care for this group of 2 million are warranted; however, expecting such interventions to those in the last year of life to have a large impact on overall health care costs is misguided. Not only is this group small, but the window of time for a significant impact on costs is limited by the patients’ life expectancy. If healthcare was to target those with chronic illness and functional limitations, the impact is 4 to 5 times greater than targeting those at end of life illness (Table 1). Last December 2017, Envision Healthcare Corporation paid an approximate $30 million to settle allegations for subsidiary EmCare doctors getting bonus payments for admitting patients to hospitals when it was not necessary. A subsidiary of Envision, EmCare is a provider of physician services to emergency departments, inpatient services for hospitals, acute care surgery, trauma and general surgery, women’s and children’s services, radiology / teleradiology programs and anesthesiology services. If you have ever been hospitalized, Radiology is one service which always seems to have someone other than the hospital billing you. One study of billing practices of 194 hospitals in which EmCare handled billing and was out-of-network; the average out-of-network billing rate was 62% higher than the national average of 26%. When EmCare’s billing was compared to that of a competitor TeamHealth, the latter’s billing in other hospitals was less and there was a smaller increase in out-of-network service billing. If you remember a while back, Rusty and I would discuss the ongoing consolidation of hospitals, clinics, and pharmacies. The reasoning behind the consolidation was to have enough market clout when negotiating with insurance and Medicare. Having a larger presence and being able to set pricing nationally and regionally is a big factor in the rising cost of healthcare. 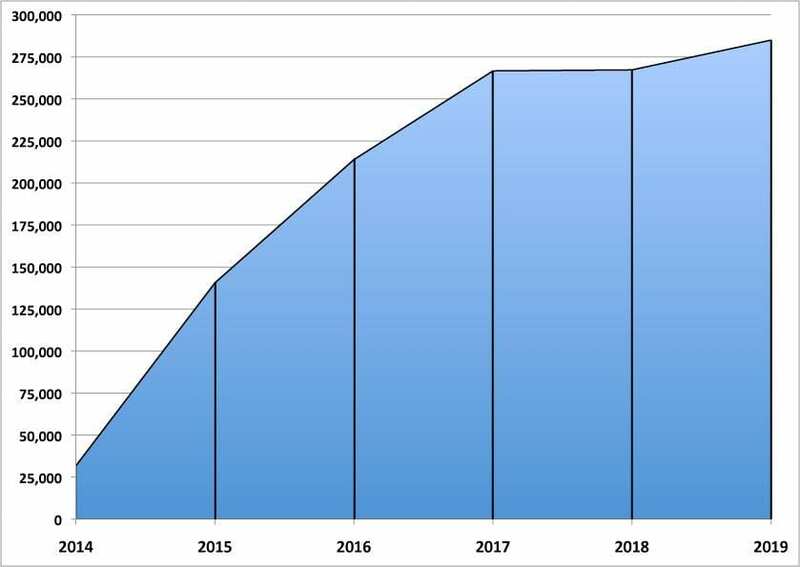 Envision is the biggest player in staffing ERs and Anesthesiology departments with 6% of the $41 billion emergency department and hospital-based physician staffing and 7% of the $20 billion anesthesiologist staffing. Two-thirds of all Emergency Departments (ED) do some type of outsourcing even if it is short term. United Healthcare insurance is pitted against Envision’s practice of over pricing for it’s 25,000 emergency doctors, anesthesiologists and other hospital-based clinicians charge to patients and pass through. The disagreement over pricing and how it is paid for by insurance as billed by 3rd party providers will spill over into patients being billed more frequently for higher prices not accepted by insurance. UnitedHealthcare’s 27 million privately insured patients could face expensive and unexpected doctor bills as of 2019 if Envision doctors become out-of-network for United Healthcare. According to the research group NORC at the University of Chicago more than half of Americans have received an unexpected medical bill. In another study by economists from the Federal Trade Commission in 2017, 1 in 5 emergency-room admissions resulted in a surprise out-of-network bill. While the ACA increased the numbers of people insured, approximately 20% of people have problems paying medical bills largely because healthcare is still rising faster than most other costs and income. One source of increased costs has been the billing from out-of-network doctors billing patients utilizing in-network facilities such as hospital Emergency Departments. 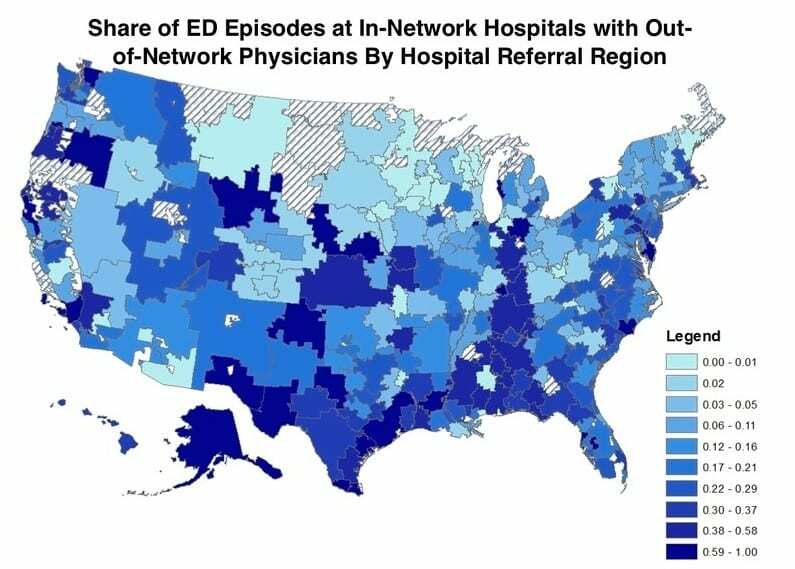 NEJM recently published a Yale Study by Zack Cooper, Ph.D., and Fiona Scott Morton, Ph.D. (Out-of-Network Emergency-Physician Bills — An Unwelcome Surprise) reported on the increased occurrence of surprise-billing for out-of-network services. Patients typically do not choose to use out-of-networks doctors or facilities. They will choose an in-network facility and expect an in-network doctor(s) to care for them. Healthcare insurance expects its buyers to use in-network services or pay a penalty for not doing so. When one arrives at an in-network Emergency Department, they expect to be cared for by an in-network doctor. I have yet to hear a doctor on duty offering up he or she is not employed by the hospital but instead by a third party. The patient is not aware of in-network or out-of-network issues until they get the bill. The market place is not working for the customer and the doctor still gets the business regardless of the price and there is no competition from other facilities or in negotiated pricing due to having insurance. The third party employer knows this issue as well as the hospital. The only fool in the room is the patient waiting to be cared for and be used. Insurance will pay a portion of the cost or negotiate with the hospital for a price. The third party company employing the doctor may yet charge the patient for the balance of the costs associated with the doctor and at a higher percentage than normal. The uncovered and unexpected higher cost is the rub. The authors of the Yale study analyzed the claim’s data of a large commercial insurance company insuring tens of millions of people, focusing on ED visits for people under 65 years of age, occurring between January 2014 and September 2015, and at hospitals registered with the American Hospital Association. They chose hospitals with over 500 ED visits and identified the Hospital Referral Region (HRR). Utilizing the breakdown criteria yielded “more than 2.2 million ED visits Broken in 294 of the 306 HRRs, covering all 50 states, and capturing more than $7 billion in spending.” The map of the United States (above) is a pictorial representation of the data. Envision questions the validity of the study and blames United Healthcare for not paying the billing and claiming insurance is the problem. 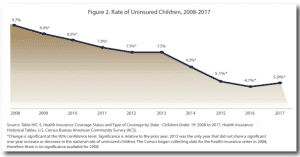 Insurance coverage is a problem; but, it is not of the same magnitude when one starts to look at the increase in costs of $1 trillion from 1996 to 2013 of which 50% was due solely to price increases. And yes there are “potential” extra costs for patients who are treated by an out-of-network ER physician or any out-of-network service. In one hospital I was in, Radiology was out of network as well as one surgeon. Both negotiated a rate with United Healthcare. Then too, this was written into the ESI policy. I had no choice in doing in-network as I came through the ER each time and was too ill to decide and/or go to another hospital. In a Kaiser/New York Times Survey: Among the insured with problem medical bills, a quarter (26%) said they received unexpected claim denials and about a third (32%) say they received care from an out-of-network provider that their insurance wouldn’t cover. The out-of-network charges were a surprise for a large majority: 69 percent were unaware that the provider was not in their plan’s network when they received the care. The same NEJM/Yale study which had looked ay frequency of surprise Out-of-Network Emergency-Physician Bills also looked at the costs of the bill and what was left over for patients to pay. On average, in-network emergency-physician claims were paid at 297% of Medicare rates. For reference in the Yale study, the authors used other medical disciplines as a benchmark. Orthopedists are paid at 178.6% of Medicare rates for knee replacements and internists are paid at 158.5% of Medicare rates for routine office visits. The Yale study showed out of-network emergency physicians charged an average of 798% of Medicare rates resulting in a calculated, potential, and additional cost for patients. The difference between the out-of-network emergency physician charge and 297% of the Medicare rate for the same services in the patient’s location could be billed for an average balance of $622.55 (unless their insurer paid the difference). It is also important to note that the potential balance bills can be extremely high; the maximum potential balance bill faced by a patient included in our data set was $19,603. The suggested solution from the study was for states to require hospitals to sell a bundled ED care package that includes both facility and professional fees. In practice, that would mean that the hospital would negotiate prices for physician services with insurers and then apply these negotiated rates for certain designated specialties. The hospital would then be the buyer of physician services and the seller of combined physician and facility services. If physicians considered the hospital’s payment rates too low, they could choose to work at another hospital. The hospital, doctors, and the insurance companies would compete for the best package to service the patients utilizing them. In the end, this is a stopgap measure until healthcare costs can be brought under control in a better manner.